A few weeks ago, I recommended various Bible reading plans and laid out the strengths and weaknesses of each. One increasingly popular approach is chronological. 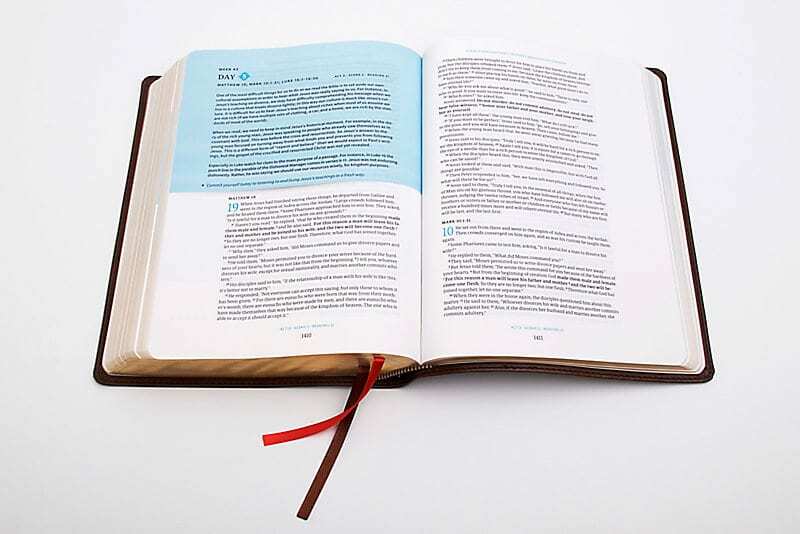 This plan takes you through the Bible’s grand narrative, so that you follow the storyline chronologically, helping you see how the Bible fits together to tell one big story that points to Jesus Christ. I am currently making my way through the CSB Day-By-Day Chronological Bible, which features daily guided readings from George Guthrie, professor of New Testament at Regent College in Vancouver, B.C. I love the look and feel of this Bible, and I’ve benefited already from single-column design and the expansive margin space for note-taking. 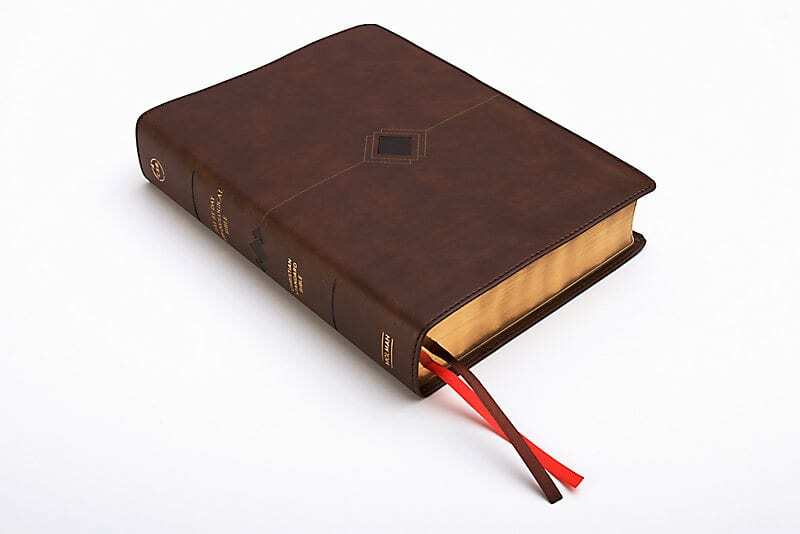 There are two versions of this Bible, a paperback edition (ideal for a church campaign) and a simulated leather. Guthrie has long been a champion of tools that help people get into the Bible to read and discover God’s Word for themselves and in their communities. Today, I’ve invited Guthrie to answer a few questions about this new release. Trevin Wax: When did you read through the Bible chronologically for the first time? George Guthrie: I don’t really remember exactly, but I have found this to be an important part of my own ongoing growth as a follower of Christ. I continue to be amazed at the beauty of the fact that God wants to communicate with us, and I am constantly astounded at the beauty of Bible’s amazing Story. Trevin Wax: What are some reasons that people should consider this approach to the Bible? George Guthrie: A chronological Bible is both a wonderful devotional tool and a learning tool, not a replacement for one’s main Bible. Its great strength is that it helps us read through the Story of Scripture step-by-step, in a way that makes sense, at the same time helping us read the whole of Scripture—not just bits and pieces here and there. Devotionally, it can help us get in a rhythm of making space day-by-day, to meet God in his good Word. Thus it helps with a good habit. Trevin Wax: What is distinct about the Day-by-Day Chronological Bible, and how do you hope people will use it? George Guthrie: The main feature of the Bible that you won’t normally find in other chronological Bibles is the “Reader’s Guide” that begins each day’s reading. Essentially, I “coach” the reader in how to read the portion for that day, with a brief reminder of where we are in the story and key principles for reading the portion for the day well. I also offer brief suggestions or questions meant to help with application of what we are reading. As we worked on this Bible I wanted it to be readable, and the team at B&H did a great job with clarity of type and generous margins. The layout is beautiful. I wanted it to be flexible. So the daily readings, rather than being dated (Jan. 1, Jan. 2, and so on), are divided by weeks and days, on the one hand, and Acts, Scenes, and Readings on the other. A person can read through the Bible in a year, or they may want to go more slowly. For example, if a person read three days a week, rather than six, they would cover the whole Bible in two years. At they end of each day’s reading there are check boxes for marking that you have finished the reading for that day. There are five check boxes at the end of each day, because I assume that people are going to want to read through Scripture multiple times. So we also wanted this Bible to be durable. I am so excited about the simulated leather edition, which I am using currently. It is a pleasure to use, and it will last! I am excited about that. Trevin Wax: The Gospels at times have different chronologies. I’ve noticed at times that you intersperse some of the psalms throughout the Bible thematically, not only when they were composed. How did you make decisions about where to place matters? 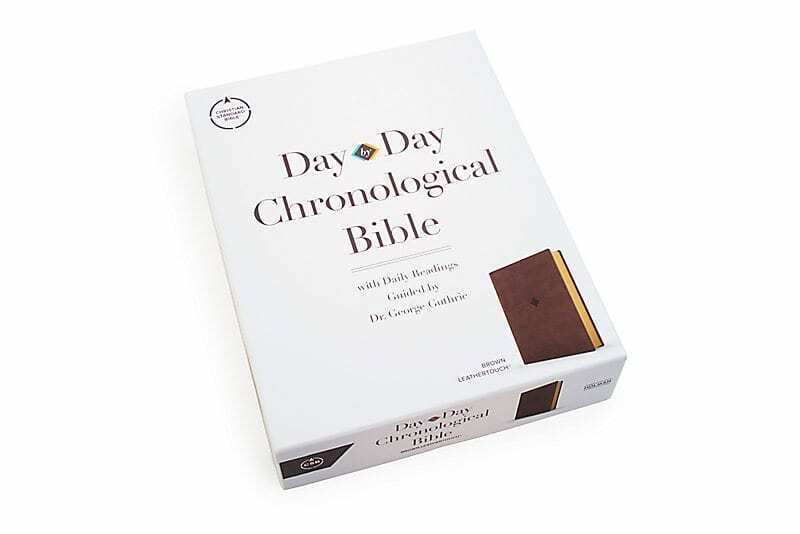 George Guthrie: The Day-by-Day Chronological Bible is unique in that the content of the reading determines where it lands in the chronological organization, rather than when a particular book was written. So, for example, both Psalm 8 and Psalm 104, as well as John 1:1-3, all are on Day 2 of Week 1 because they tell of the creation of the world. I find this wonderfully edifying as various reflections on a topic are heard symphonically.